I know people who drink lots of water. My friend, Vic , always has water closeby — drinks it all day long. Says she couldn’t live without it. Well, I suppose that’s true for all of us, but you know what I mean. I certainly talk about drinking more water during pregnancy. During pregnancy, a woman’s increased energy needs, faster metabolism, and hormonal changes alter the body’s physiology. There is increased blood volume, and the baby is producing amniotic fluid. All these changes do cause the body to have higher water needs. But what about when we aren’t pregnant? We know that we need more water when we exercise or when the weather is hot, but what about the other times. I found a great article from the Mayo Clinic which explains how we lose water throughout the day and how some is replaced by food, other kinds of drinks, but that we still need to add at least a 1 1/2 liters a day by drinking water. One liter is about 4 cups. The 8 glass rule isn’t based in any science about that specific amount it just seems to have been an easy formula to remember. The 8×8 rule — 8 – 8 oz. glasses per day. I found a great perspective that resonates with me in Snopes , debunking a lot of the myths around water consumption. 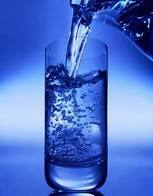 Drinking a high volume of water does not cure such things as arthritis, hypertension or asthma. It does not make us thinner or change our metabolism. Simply said, use common sense and try to stay one step ahead of thirst. It’s not possible to know exactly how much water each of us should drink each day. A pretty simple way to know if you are well hydrated is that your urine will be a very pale yellow color. On that note, I ‘m suddenly thirsty.